I had a nice conversation with my mom and my sister, Janet, today. We talked quite a bit about spiritual discernment. I’ve greatly enjoyed Ruth Haley Barton’s new book, “Pursuing God’s Will Together: A Discernment Practice for Leadership Groups.” Although it is a book about group discernment, the processes shared are very good for personal spiritual discernment. There is a big difference between the two; sometimes it is the difference between right and wrong, between good and bad, even life and death. Sarah had a good idea when she told Abraham to get her slave, Hagar, pregnant. It was a pragmatic solution to a spiritual revelation. After all, she was barren and God gave them a promise that involved their descendants. So she decided to “help God out” with a good idea. That “good” idea ended up being a terrible decision; not only causing immediate devastating familial issues (leaving Hagar and her son through Abraham, Ishmael, destitute) but also causing violent enmity between two people groups (Arabs and Israelis) that has lasted almost 4,000 years … and is still going strong! That’s what could happen when we assume that any good idea, based on a spiritual premise, is God’s idea. The problem is that we still make the same mistake today – constantly. Churches and ministries come up with good, innovative ideas that would attract people, win them to Christ and grow the churches. We assume that it must be a God idea because God wants people to come to Christ and see the Kingdom expand. But as we follow through on these ideas, they don’t work out. In some cases, the “wheels fall off the wagon” and the church or ministry implodes. In other cases, there might be some semblance of success, but coming at a great cost – making you wonder if it really was successful. In our personal lives, we don’t fare much better. We pray that God would lead us in a major decision and then we go with our gut. Or we weigh out the “pros” and the “cons.” We might as well “flip the coin” and pray for God’s sovereignty to intervene (some would say this is actually Biblical and point to the Old Testament use of the Urim and Thummin). It’s not that we don’t want God’s ideas. We do. It’s not that we don’t want to exercise good spiritual discernment in decisions. We do. But for most of us, we lack the process that leads to good spiritual discernment. Barton’s book gives us some great tools for a truly God-led discernment process that keeps us from falling into the traps of the “false self,” relying too much on strategy, or “You Light Up My Life”/”I’ve got a good feeling about this” decision making. 1. The key to spiritual discernment is learning to hear God’s voice through the rhythmic spiritual practices that allow God to speak to our soul (solitude, silence, Scripture, Sabbath, examen). 2. 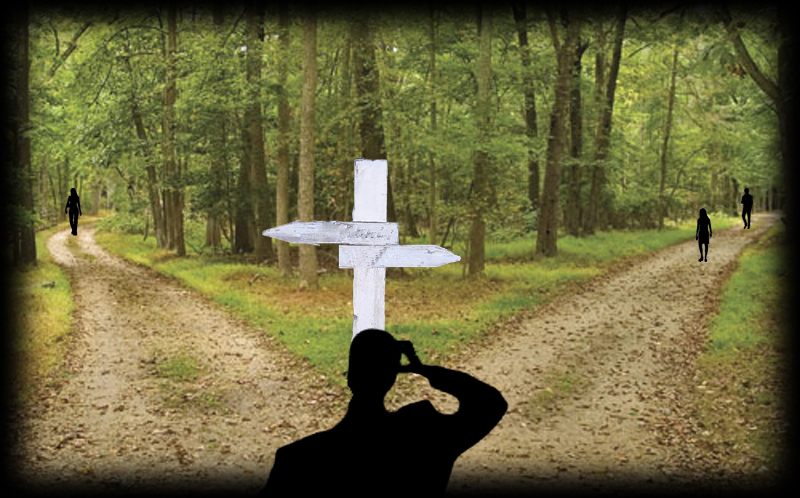 You know that you’re closer to a discerning decision when you can get to the place of “indifference” toward any option. If you are wrestling with a discernment issue, if you feel like you might have some good ideas but not certain if they are God’s ideas, then I encourage you to read Ruth’s book. I love this post! I keep saying is this a God idea or just a good idea, I want God ideas. Thanks for illuminating and helping me quiet myself to wait for the God idea with discernment. My soul desires the God idea and sometimes that means wading through some good ideas and laying them down to get to the God idea.